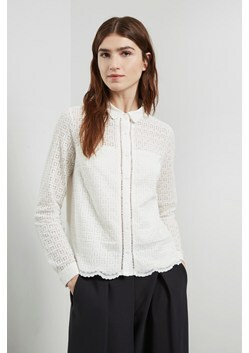 The Lily Lace Mix Shirt is a pretty separate to add texture and subtle pattern to your collection. A button-down shirt with long sleeves is updated for the new season with a dainty lace design, bringing new life to the classic white shirt. 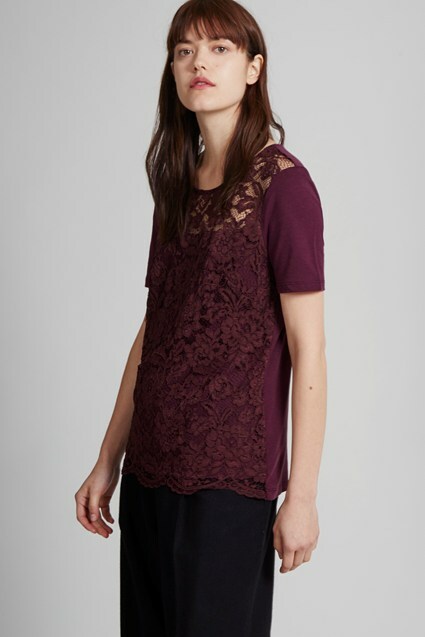 Contrasting laddering punctuates the lace along the front buttons, adding a unique finish. Wear loose with oversized culottes to show off the pretty scalloped hem.